Bangladesh is likely to be the biggest mover in the global gross domestic product (GDP) ranking in 2030 through becoming the 26th largest economy in the world as predicted by HSBC global report “The World in 2030”. 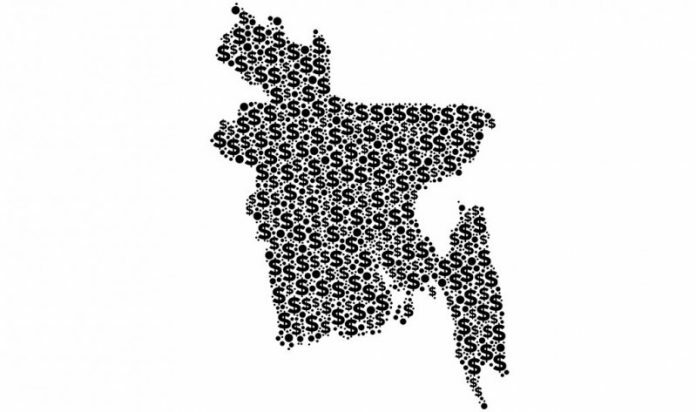 “The country is going to become the 26th largest economy in the world from the current 42nd position followed by the Philippines, Pakistan, Vietnam and Malaysia,” said an editorial of the current News Bulletin (July-Sept 2018) of International Chamber of Commerce- Bangladesh (ICCB) quoting the HSBC report. According to the report, the brand value of Bangladesh is also rising as the country has ranked 39th in the global brand value index 2018 reflecting its socioeconomic vivacity. Bangladesh has a brand value of U$ 257 billion, up 24 percent from last year, according to the Nation Brands 2018 report of the London-based Brand Finance. The ICCB news bulletin said Bangladesh economy has kept up an impressive annual average growth rate of more than 6 percent over the last 10 years and has been increased GDP over the last couple of years. 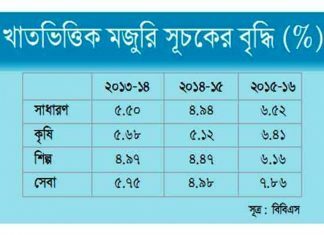 In FY18, the bulletin said, Bangladesh’s GDP growth rate was 7.86. It is believed that the country could have easily achieved 8 percent plus growth by controlling the project implementation time, which would automatically minimize the project cost. The public sector investment has increased over the last couple of years because of mega projects. But, the private sector investment did not increase proportionately. 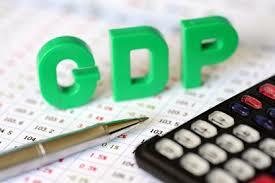 For about a decade, private investment to GDP ratio has been stuck at 21 to 23 percent. But, according to country’s growth ambitions, the ratio has to be about 35 percent of GDP. A number of ASEAN countries have achieved higher GDP as their investment to GDP ratio has been in the range of 35-45 percent. It is estimated that Bangladesh needs investment of more than US$ 600 billion for its infrastructure, against which the country can manage around US$ 400 billion. In order to meet the shortfall, the country has to explore alternative sources of funding, the report said. The private sector investment is a pre-condition for attracting FDI as the foreign investors would also like to see increased commitment of the private sector, improved infrastructure facilities as well as better facilities and pro-active government agencies. It is an urgent that all-out efforts are made to improve the ease of doing business index in order to attract FDI as well as private sector investment. The government has enacted a new law for much needed “One-Stop Service” by Bangladesh Investment Development Authority (BIDA). It is definitely a welcome move and early implementation of the One-Stop Service will hopefully attract higher FDI and private sector investments. Besides, to facilitate private and foreign direct investment, the government has offered a number of Special Economic Zones (SEZs). The government also aims to establish 100 economic zones by 2030 to ease the crisis of land for businesses & industries and already leased a total of 76 land units for economic zones out of 100.